A world leader in online business-to-business media with clients from over 40 countries, the network also provides news and information on a wide range of industries, from military and construction to pharmaceuticals. When the team behind Copybook first got in touch with us, their network consisted of nine distinct web portals focusing on different industries, all with unique layouts, separate domains and their own content management systems. This made changing or adding content to the various websites extremely complicated and time-consuming. Seeking a more scalable setup to accommodate the growth of their business, Copybook asked us to deliver a solution that would unify their existing portals and consolidate them under the main Copybook brand. The goal was to be able to manage the entire network from one interface. In addition, the existing system’s outdated technology needed replacing so that modern website features could be incorporated. We used Yii 2.0 PHP Framework to develop a custom web platform consisting of a public web portal, a customer portal and a back-office system. In place of nine independent websites, the public web portal provides one-point access to all the content Copybook offers. 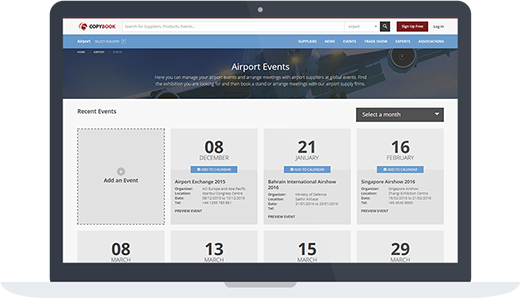 This is organized into industry-specific sections that visitors can move between seamlessly. For the interface, we decided to use Foundation and Bootstrap 3.0 frameworks and an SEO-friendly design for improved usability and accessibility. Our solution also introduced several new features, including an expanded customer portal, networking and social tools, online payment functionality, an automated subscription process, and multi-industry search. Most importantly, a centralized back-office system was created so the entire platform can be managed from one place. 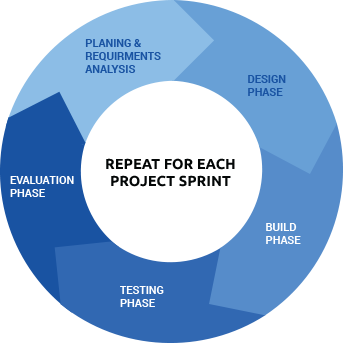 Using Agile Development methodology and working closely with Copybook’s team, we delivered the solution in several sprints, meeting the corresponding project milestones. As with all our projects, we used test driven development along with regular sprint and code reviews to guarantee the consistency and quality of the software. At the core of the platform is a business directory of suppliers, categorized according to industry. 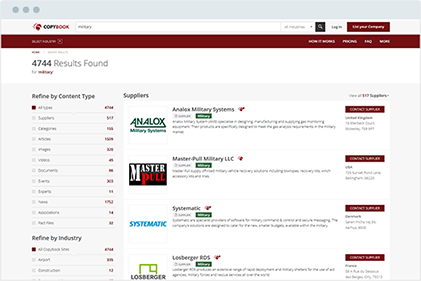 Listed suppliers are each assigned a micro website that serves as their profile page, allowing them to promote their company using articles, multimedia galleries, videos, downloadable PDFs, and full social media integration. 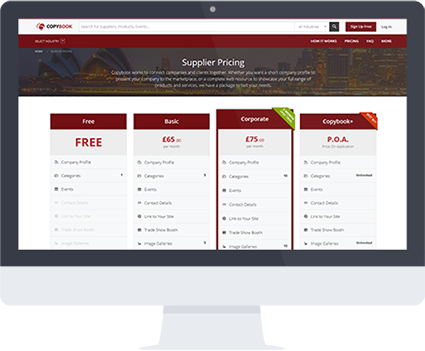 An easy-to-use and intuitive customer portal was built to allow suppliers to manage their own microsites. 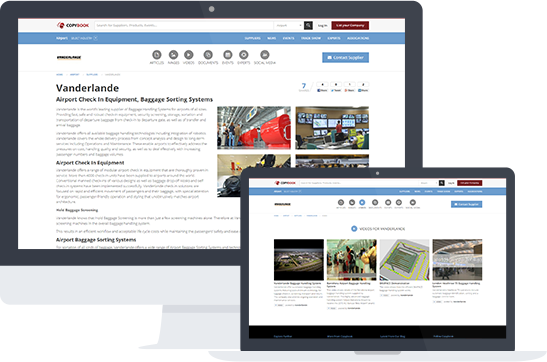 Once logged in to their personal dashboards, suppliers can create new articles, edit existing content, upload images or videos, post job listings and more. They are also able to preview and respond to any enquiries sent through the platform. To be listed in the Copybook directory, suppliers must first sign up for a subscription plan. We gave administrators the ability to create custom plans for each industry using a simple subscription management system. Plans can be adjusted to limit the amount and type of content a user is allowed to post and the number of categories their company can be listed under. To engage Copybook readers and encourage interaction, we added a real-time commenting system, allowing users across the globe to comment on the website’s news stories. Users can also reply to comments and start conversation threads. Aiming to help users make the most of Copybook’s extensive multi-industry network, we implemented a global search function, allowing them to perform a search across all the industries within the network. Users can also carry out a scoped search, restricting their focus to a particular industry for more targeted results. 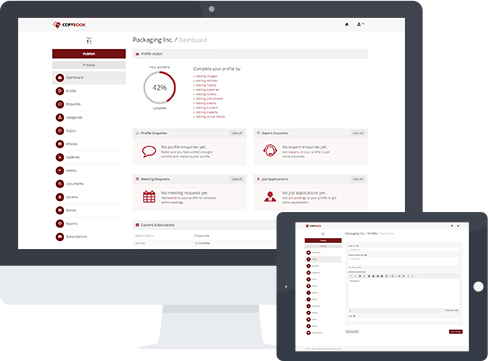 The entire platform is supported by a single back-office system, through which Copybook administrators can manage user accounts, supplier profiles, subscriptions, events, user uploads and all other content within the network. The process of making changes or updates to any one of the different industry-specific sections is standardized and can be carried out from the same interface. Copybook has recently been using the services of Devision. We have found all the staff within the company to be extremely professional and knowledgeable regarding website development and design. In our opinion, Devision is a company that offers excellent service, superb value for money and attention to the slightest detail. Things seem to be completed at lightning speed and at a price that is right. In addition to forming a good working relationship, we have found that we have made new friends too. I would recommend this company to anyone who requires website design, development and understanding as far as the Internet is concerned.